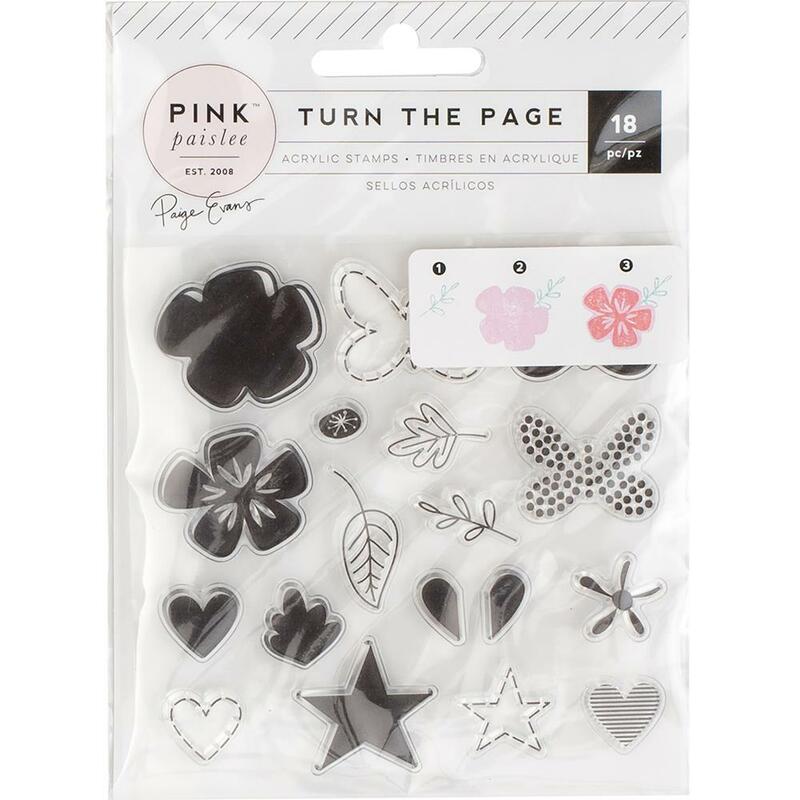 This package contains a set of Acrylic Stamps that coordinate with the "Turn The Page" Collection by Pink Paislee. Look for coordinating Designer Papers, Paper Clips, Wood Embellishments and Journaling Stops. Turn The Page Collection by Pink Paislee.